What happens at your organization when an issue appears? Maybe it’s something like a customer complaint, an IT request, or a help desk inquiry. Is there a place for these issues to go where they’re safely recorded and properly organized, making it easy for the right people to see and respond? Or do they drop into a pile of unaddressed requests, left to wait until someone finally deals with them? As we discuss in our eBook, A Tale of Two Issues, Issue Tracking software can make a huge difference. Without a designated place to go, issues can float aimlessly around an organization, threatening to slip under the radar if they go unnoticed for too long. But with good issue tracking software in place, the issue gets recorded and passed off to the right person or team for the job. Let’s look at an example of how Issue Tracking software can help a company save time, money, and stress. Imagine there are two organizations: Company A, which uses spreadsheets and emails to keep track of customer inquiries, and Company B, which has implemented Issue Tracking software to help streamline its customer service operations. Let’s see how they both respond to the same issue: an inquiry from a customer. At Company A, the customer inquiry sits in an inbox until someone can manually open and respond to the issue or assign it out to someone else. In the chaos of a particularly busy morning or a sudden influx of other emails, it’s very possible that the inquiry could get buried or even accidentally deleted. If the manager of that inbox happens to be out of the office, the inquiry will sit, untouched, until they return. Company B has a software solution that automatically flags and records issues upon submission. With features like Auto-Assign in place, the company can rest assured that a customer request will never slip by unnoticed, even over the weekend or when members of the organization are out on vacation. With the customer request buried deep in an unchecked inbox, life goes on at Company A. But as the request sits there, it grows in scope -- the problem goes unfixed, the customer grows impatient and frustrated, and the company’s customer service as a whole suffers. By the time someone finally uncovers the forgotten issue, it may already be too late to save that customer relationship. At Company B, however, the issue is already in the hands of someone who knows exactly how to fix it. With Issue Tracking software in place, this organization can assign tasks, manage and standardize employee workflows, and update everyone involved on the status of the issue. Company A begins scrambling to quickly address the forgotten issue and regain the customer’s trust. But the damage has been done, and the company’s disorganization has cost them in more ways than one. With no organized solution for issue management, this likely isn’t an isolated incident for Company A -- and the more issues that slip through the cracks, the lower their customer service rating will dip. Meanwhile, Company B has the situation under control. With tasks properly assigned and everyone working in sync, the organization can resolve the customer issue in record time. Speedy response times and an efficient, standardized workflow allow the team to help many people in a short amount of time, making everyone happy in the process. There are far better solutions than emails and spreadsheets for dealing with issues across an organization. Without effective Issue Tracking software in place, these issues can easily slip by unnoticed, causing small hiccups to snowball in to big, costly problems. 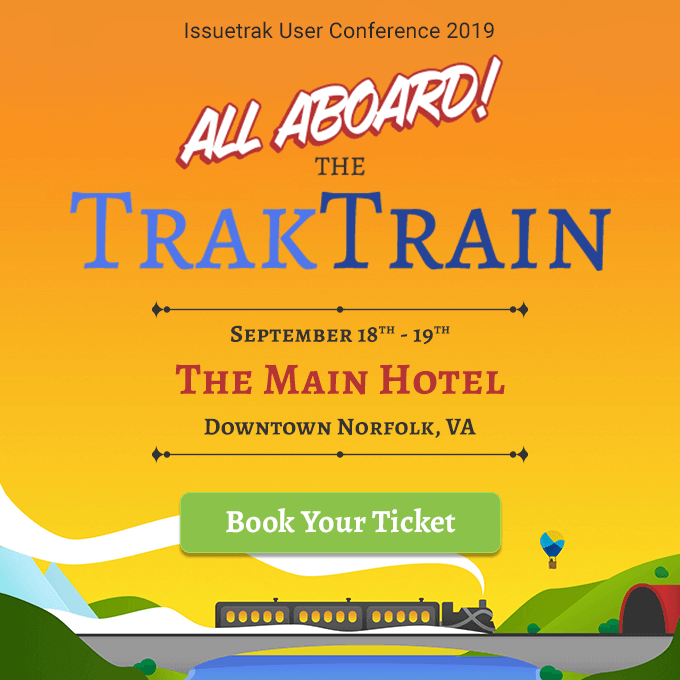 Want to learn more about how software solutions like Issuetrak can make all the difference for your company? Our eBook gives a detailed look at how Issue Tracking software save organizations headaches and help them satisfy more customers in the long run. Click here to read A Tale of Two Issues and find out more.